The results of the Baccalauréat 2017 have now been released in London. This year, 98.5% of the Lycée Charles de Gaulle’s students passed their baccalauréat, after the second-stage orals, which is marginally worse than in 2015. Five pupils from the Lycée français failed the exam as opposed to 2 last year. However, As many as 45.8% of students sitting the exam received the highest distinction i.e.“very good”, more than 3 points higher than last year, when 42.4% of pupils received it. It is also worth pointing out that 68% of students received either a very good or a good and overall 87.7% were awarded a distinction. 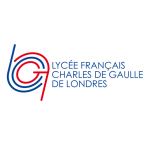 All the pupils who received the top distinction (very good) were, as usual, invited to the Résidence de France by the Ambassador Sylvie Bermann, an event sponsored by CIC Banque Transatlantique. The French national results have not yet been released on 5 July. Congratulations to all the new “bacheliers”!